Over the past few days I have been slowly going over the engine bay looking for wiring problems. 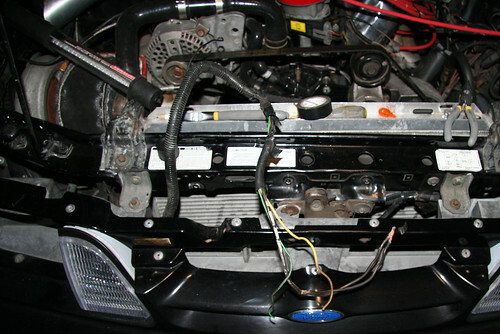 A combo of the heat generated in the engine bay and age of the car resulted in a bunch of wires needing replacement. I am replacing a few of the key wires completely and repairing others where needed. 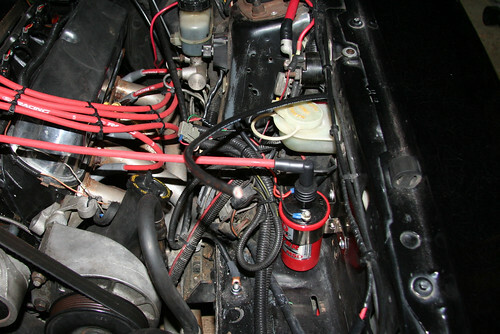 I ran a new 4 gauge alternator wire to the starter solenoid (where power is then distributed). The reason I went with a 4 gauge is so if I decide to go with a 3g alternator you need the bigger wire to support the increased amps. I still need to get a fuse before I finish hooking it up. I was reading that the 3g alternators give you the same amp’s at idle then a stock alternator at 5000 rpm’s, I think that may be my next upgrade. The old wiring harness, pulled it out so I could get working on cleaning it up and re-routing it. I had to extend a few wires so I could tuck it into the fender. 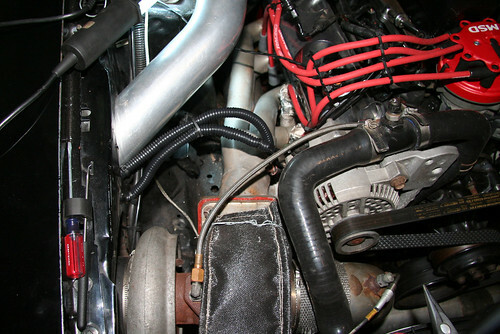 The new alternator wires, I have them nice and high away from the exhaust so they wont fry like the last ones. Below is where I still have to clean up wires, however its showing the new 4 gauge wire that needs to be terminated at the solenoid still.